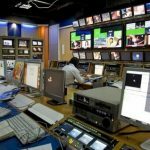 Pakistan Electronic Media Regulatory Authority (PEMRA) has banned over three dozen news channels and ordered to stop live coverage of the on-going Faizabad Operation. The government had decided to start an operation against the Faizabad Dharna that has been going on for about three weeks. Pemra has banned the live coverage of Operation against Dharna. Following an order by the Islamabad High Court, Interior Minister Ahsan Iqbal had moved law enforcement agencies to peacefully clear the area that is a major transport route between Rawalpindi and Islamabad. Earlier, multiple warnings were issued by the government to the religious group that is holding the Faizabad Dharna but there had been no significant progress. Talks between the government and sit-in representatives were held but no progress was ever made that could satisfy the demands of the religious group. On Saturday morning at around 8:00 AM, the government called over ten thousand law enforcement personnel in order to clear the area of protestors but the situation only got worse. Although police seemed to scatter the protestors by peaceful means but pallets were thrown and vehicles set on fire giving a clear message that they would not back up. A police officer was reportedly killed in I8 area after he got hit by a stone in the head. Several news channels were covering the operation live, however, PEMRA has banned all news channels and restricted live coverage. Many news channels are still covering live on Youtube. Update: PTA has decided to ban Facebook, Twitter and Youtube following an operation against protestors of Faizabad Dharna.